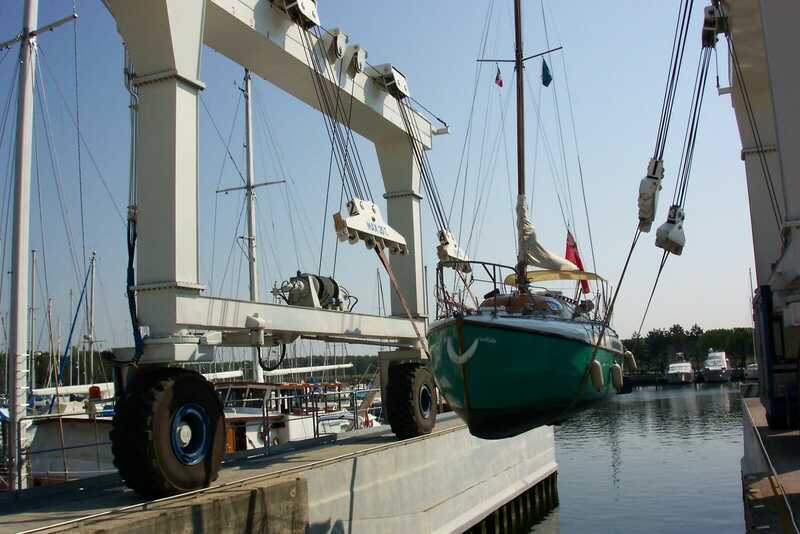 The easy way is to have it lifted in by travelhoist. It is not the cheapest way but it does keep the trailer out of the water. The second way is to have a crane lift it. I know it seems the same as the first, but it allows me to describe one of the special features of the boat. The Atalanta has built in lifting points, one in the aft cabin, and two in the main cabin. A three legged strop, made up to a Fairey Marine drawing (available from the AOA), is shackled to the lifting points and the crane hook attached to the ring joining the three legs. No need to use strops. No spreader needed. Some owners use this method at the beginning and end of season in conjunction with a Manitou. The next easiest way is to back the boat and trailer down the slip at low water, chock the wheels, remove the car to the top of the slip and wait for the tide to come in. Of course you need to attach a rope between car and trailer to recover the trailer after launching, but it is a hassle free process. I used this method for many seasons, preferring to choose a tide where I could hog the slip overnight. (Onto the slip just before the gates were locked with us inside). Park on the slip late evening, float off at about 0600, recover trailer and drive off when the gates opened. The fourth method is a bit trickier. It requires a fairly steep slipway. Park up near the top of the slip perhaps 30 feet clear of the water. Brakes on, and chock trailer. Uncouple car. Attach a long rope about 100 ft long between trailer and car. Remove chocks, off brakes and let it roll back into the water. It has to have some momentum for it too work. 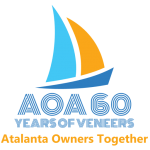 When the trailer reaches the water it will slow down dramatically, and if the slip is not steep enough, and/or you have insufficient speed it will all stop with the boat half in the water, and about a foot of antifouling showing. When done correctly the boat will float off. 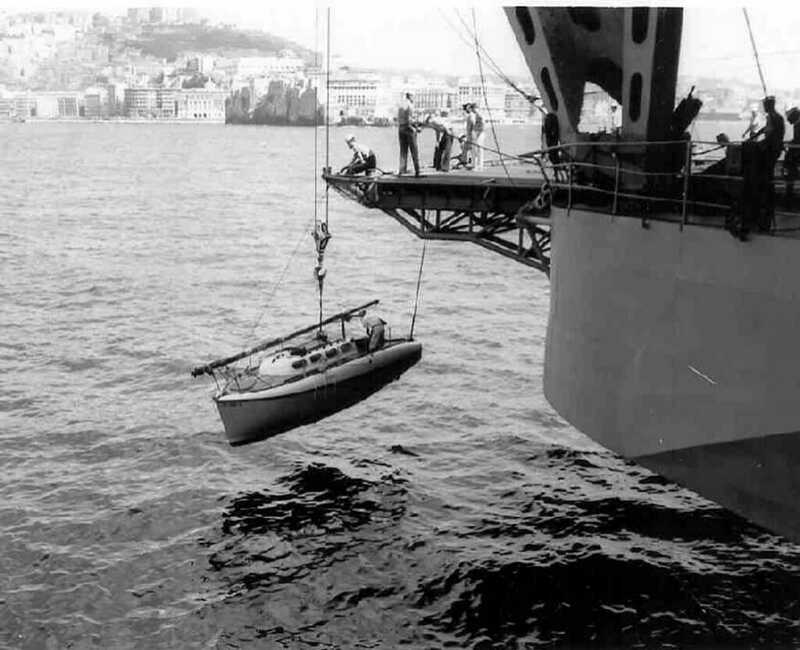 Make sure the engine is going to start, or a rope is attached to something ashore, and someone is on the boat! Otherwise one boat goes floating off on its own. Just make sure that the trailer goes straight or it might fall off the edge of the slip (from experience). I have done this a few times, but it isn’t my favourite!